The biggest chunk below is the Classic Cuban Music project. 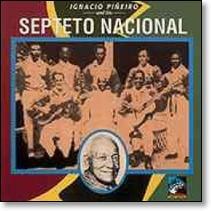 I started it well over a year ago when I ordered a batch of records recommended in Ned Sublette's Cuba and Its Music. When I almost had them ready to go 4-5 months ago, I decided to order a second batch to fill in some of the gaps. That introduced further delays. Even now, I only have one of at least three Folkways albums compiled by Lydia Cabrera. I'm also missing some obvious names, like Miguelito Vald�s, and key groups like Orquesta Casino. We'll do more of those in the future, especially when Sublette gets around to releasing his sequel, carrying the story on from 1953. 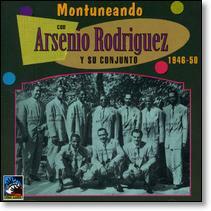 It's almost impossible to overstate the importance of Cuba in the history of world music. It was and remains a small, poor country, but few places have ever been so thoroughly involved as pathways and melting pots. The Spanish who appropriated Cuba after 1500 maintained an uneasy cultural synthesis of Christian and Moorish influences, the latter the first major contact between European and African music. The African element was repeatedly reinforced as the Spanish brought in slaves from all over Africa. Cuba was the last country in the western hemisphere to abolish slavery. Also, unlike other American slave cultures, Cuba was unique in allowing African tribal groupings, languages, and religions to continue, so that Cuba in many ways mirrors the diversity of Africa. On the other hand, Cuba never had the overwhelming concentration of Africans that were present in Barbados, Jamaica, and Haiti. Rather, Cuba had a white elite with active ties to Spain at least as late as 1898, and it maintained an elaborate social caste system based mostly on color, which effectively continued up to the revolution, or some might argue continues in Miami today. The racial strata was reflected in entertainment, but as with America music proved to be a relatively permeable barrier -- perhaps even more so. Cuba's music comes out of all these sources, but perhaps as important is its connections to the rest of the world. Havana was the trade center of the Caribbean from around 1600 on, with close ties especially to nearby Spanish-speaking centers, of which Mexico and Puerto Rico proved especially important -- Mexico as a larger market for Cuban talent, Puerto Rico as a cultural satellite which proved to be an important pathway to the US. Long before Cubans emigrated to the US in large numbers, Cuban music entered through Puerto Ricans, developing into salsa largely in the Bronx. But even further back, Cuba had a strong influence on 18th century New Orleans, and acted as a pathway for the influx of French creoles fleeing Haiti after the 1797 revolt -- the roots of what Jelly Roll Morton identified as the essential Spanish tinge in jazz. More Cubans came to the US starting in the 1950s, both before and after Castro. And Cuba never really disconnected from Africa: just to pick one conspicuous example, rumba is equally at home in Cuba and in the Congo. Ned Sublette has documented this rich history of Cuban music in his superb book, Cuba and Its Music: From the First Drums to the Mambo (2004, Chicago Review Press). He covers the evolution of Cuban song forms in more detail than I can follow, but the copious details of the history are fascinating. The book cuts the story short at 1953, when Batista consolidated his dictatorship and Castro scampered off to the hills to start his revolution. (A second volume is promised.) The records below are recommended in Sublette's short discography. Aside from one Folkways album, all are on Jordi Pujol's Tumbao Cuban Classics label, part of his Barcelona-based Fresh Sound Records empire. Pujol founded Fresh Sound as a Spanish outlet for West Coast Cool Jazz, an aesthetic he continues to support and add to with his Fresh Sound New Talent and World Jazz series, as well as compile archival series like the Blue Moon label. But Tumbao is by far the most important, with a catalog of more than 140 titles, mostly artists unavailable elsewhere. Once again, Europeans have come to the rescue of quintessential American music. In an infinite universe, all the music you'll ever need already exists somewhere. We find more each month: Cuban classics (Celia Cruz, Benny More, Perez Prado, Ignacio Pineiro, Arsenio Rodriguez, Chano Pozo), Nashville storytellers (Tom T. Hall), far out folkies (Fred Katz, Hugh Masekela), changing seasons (Frankie Valli); many more (44 records).